When a client refers their family members, we consider it a high honor. When family members refer their friends, it's even more so. Our team has the privilege of working with generations (yes, we've been in business that long) of family and friends who have offered these testimonials and many more, unsolicited. The website where you can find even more independent and unbiased ratings is here. All of the reviews we've chosen to post here coincide with the maximum number of stars (5) on the independent realtor rating site. On this page, we wanted to share just a handful of the kind words people say about us and the work we do to ensure the best California real estate experience ever imagined. We'd like to say thank you to all who take the time to review our services after the transactions are complete. "Carolyn is the most informed and professional broker - we have conducted several transactions with her and recommend her whenever asked." ~ Erica V. and Michael M.
"She has many years of experience and it shows. We did better than we thought we would. We are glad we did everything she requested of us. Selling a home is a legal hotbed now. It is important to have a knowledgeable and ethical real estate agent. She is down to earth and easy to communicate with." ~ Ed and Katherine K.
"Carolyn is the most knowledgeable and professional realtor I have ever dealt with. She kept us informed of every significant event and headed off any possible problems. So many realtors are "order takers' and contribute minimally to transactions. Carolyn gets into every detail and makes sure things go as customers expect. She has earned our respect and thanks for a job well done." "Carolyn navigated us successfully through the most nail biting sale of the century and we appreciate her vast knowledge and professionalism!! Before Carolyn will answer your question you can see her thought process happening before your eyes to ensure she has provided the best answer based on her extensive knowledge of the real estate industry and the Napa Valley. Thank you Carolyn!! ps: Carolyns' staff is the most competent ever!!!" 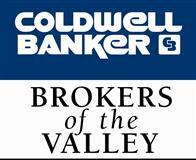 ~ Gary & Sue N.
"Carolyn is absolutely the best real estate agent/broker that I know. She makes the extra effort to make sure that her listings show well and sell quickly. We had two offers, one full price, on our home in less than a week after it went on MLS. Carolyn is honest, trustworthy, very strong and knows how to get the best results for her clients. She communicates well and kept us informed with every part of the transaction. Carolyn is up to date on all of the real estate laws, etc. and makes sure that everything is done the right way. She is always professional and works extremely hard. I have recommended Carolyn to many of my friends." "Completely professional and superlative performance." ~ Greg and Susan B. "Carolyn is amazing. She is caring, thorough, knowledgeable and always ready to assist. She really helped me through a very painful selling of the house and land I love so dearly." "Carolyn managed a difficult situation with grace and charm. She, at all times, was professional, knowledgable, thoughtful and kind. She showed a great deal of integrity and I have complete trust in her capabilities." "Carolyn always had the information and guidance we needed to conclude a difficult sale." ~ Jim and Carol M.
Please don't hesitate to contact us at 707-258-5248 or email: croberts99@aol.com today!